According to a recent chiropractic article, 60 to 80 percent of the population in North America will suffer from back pain or injuries at some point during their lives, with one to five percent suffering from chronic back pain that lasts six months or longer. In order to address this common condition, the chiropractic professionals at Rixen Chiropractic assess your specific condition and implement the safest and most effective subluxation correction methods. 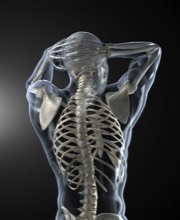 We at Rixen Chiropractic provide advanced chiropractic manipulation and subluxation treatments by utilizing the latest chiropractic techniques and technology. Our chiropractic knowledge and experience performing spinal adjustments allow us to effectively correct the alignment of your vertebrae, resulting in an increased range of motion, reduced nerve irritability and improved body functionality.